Let's take a minute and talk about kids' hair. I can clearly remember strongly disliking my mom brushing my hair each morning. I was the girl with the tight ponytails. As the mom of two boys, I feel the need to confess that when they were younger, I let them leave the house without even combing their hair. I'm not sure how it happened, but since they are boys, I guess I wasn't thinking about doing their hair. 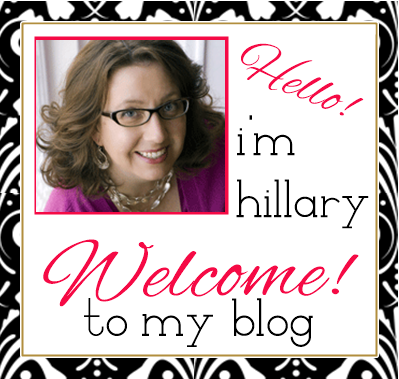 Fast forward to the tween and teen years. 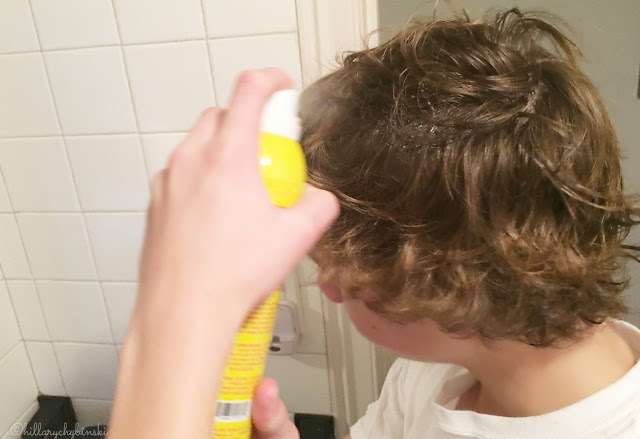 Now my bathroom is filled with hair products and the boys spend time each morning styling their hair to get it to look just so. So when Piggy Paint offered to send me some samples of their new, natural line of kids' hair products I said YES! 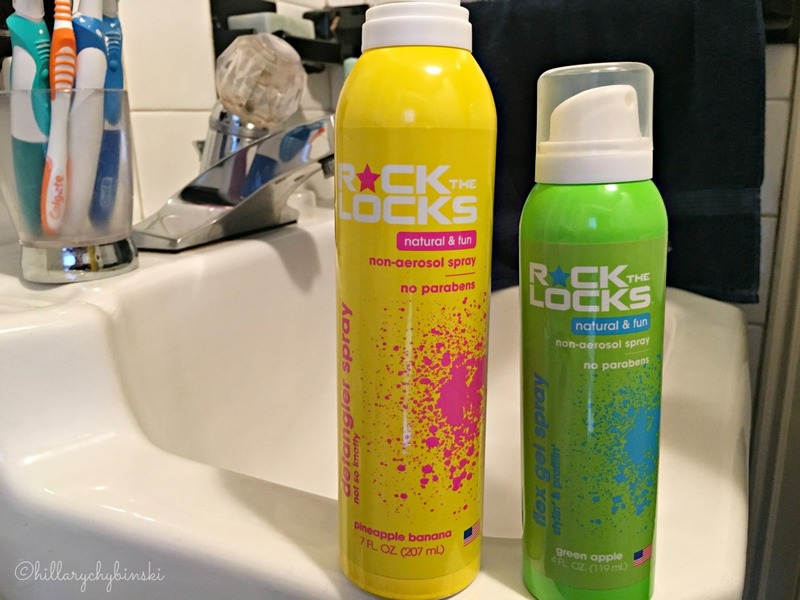 Rock the Locks products are infused with organic ingredients, free of sulfates, parabens and other harsh chemicals, and packaged in a revolutionary non-aerosol spray can. Sounds cool right? What I found so awesome, was that the products all come in these spray cans, making them super easy to use, with no mess to clean up. The patented spray cans offer a convenient non-aerosol spray technology using only the air we breathe! I will not pretend to know how that works exactly, but I do think it's super cool AND easy, making it a win in my book. You can even use the product one-handed. 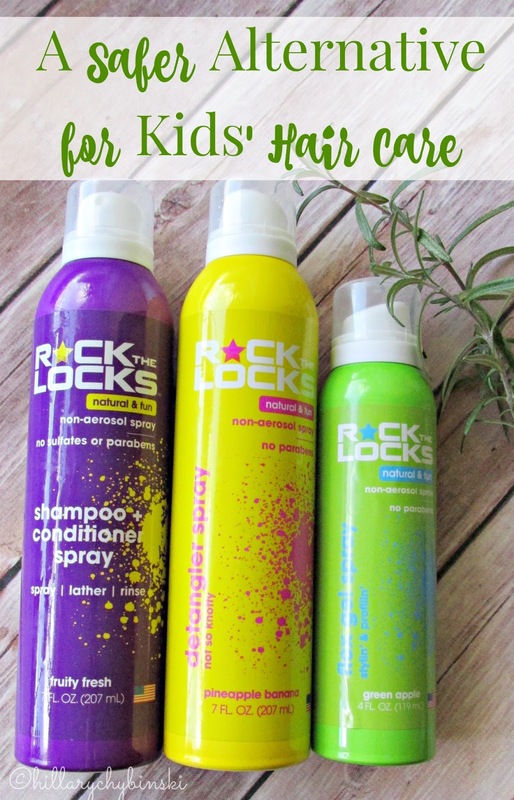 Piggy Paint tested the Rock the Locks brand in professional salons and the line includes a Shampoo and Conditioner Spray, Flex Style Gel Spray, Detangler Spray, Anti-Frizz Spray and a Curl Boost Spray. 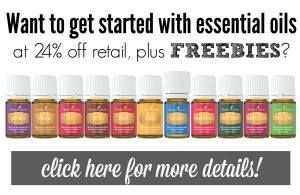 All the products are cruelty-free and made in the USA besides. Again, the cool factor here is off the charts. I was fascinated with the Shampoo and Conditioner Spray. It seems so wild to spray something on your hair in the shower, rather than squeezing out the dollop of product. The products smell pretty unique, with scents of green apple, pineapple banana and orange creamsicle. I like how modern and "cool" they look. The packaging is appealing for kids that want gentle products, but not "that baby stuff" or in my case, "stuff for girls." This is a great alternative for those difficult in between years and equally beneficial for both girl and boy hair styles. My kids gave them all a thumbs up, even the teenager. While he's not a huge fan of the fruity smells, he likes how easy they are to use and how they make his hair look. 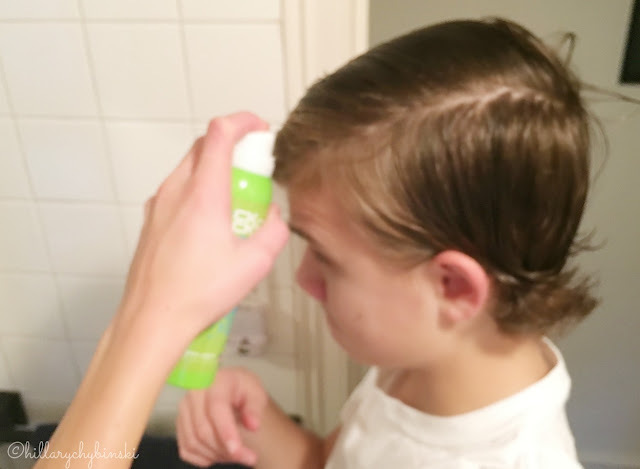 My nine year old is able to use all of the products himself without overuse or a big mess. I'm happy with the soft, touchable style it leaves their hair in before they leave the house in the mornings.